The College of Physical Activity and Sport Sciences’ move into the new Health and Education Building has strengthened academic collaborations and visibility on campus. Since the relocation three years ago, faculty and students have received multiple national and international awards and recognition. The state of West Virginia and WVU continue to face many challenges and opportunities. 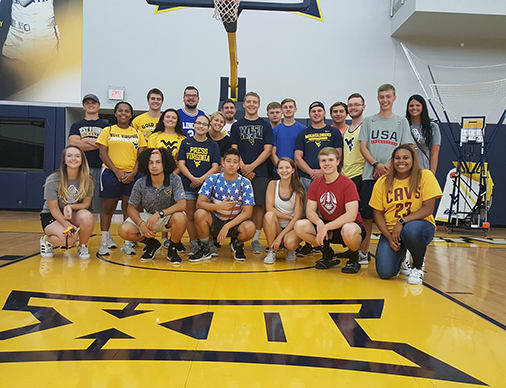 The mission of the College remains the same within the fields of physical activity and sport sciences: to create and share knowledge that improves lives in West Virginia and around the world. We are educating a growing number of students and, most importantly, transforming lives. Your contribution, of any amount, matters and will help enhance our students’ academic experiences and advance wellness and physical activity in West Virginia. Your support helps CPASS remain on the cutting edge of teaching, research and service to the state and profession.